Create password on your important files in Microsoft Office 2007, Microsoft Word, Excel and PowerPoint. Password protect is useful to prevent alteration and editing the original data on the certain file. In this case, we need a little bit of security when it comes to confidential files you want to share via web or other user. To avoid unwanted access or altering the details of your documents, MS Word gives us option to lock and password protect our documents if we wanted to secure it. 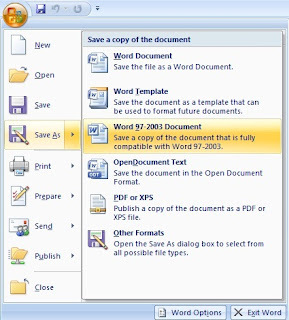 Though there are lot of ways to secure any documents, in this post will use the pre defined or loaded features of MS Office Word 2007 to protect our created file. Steps are provided with screenshots for you to actually work through step by step. 1. 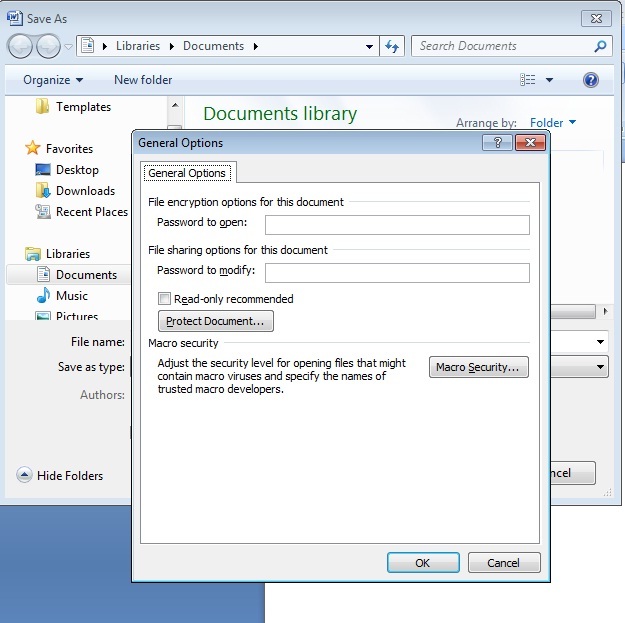 Click on the MS Office Button located on the top left corner of the window. 2. 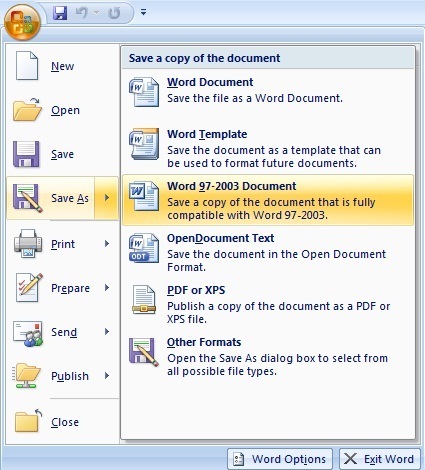 Click Save As in saving your document. 3. After clicking Save As a new pop up windows will appear. 4.From there you can see Tools options. 6. After doing Step 5 another pop up window will appear. 7. There you go, just type your desired password to encrypt your documents. 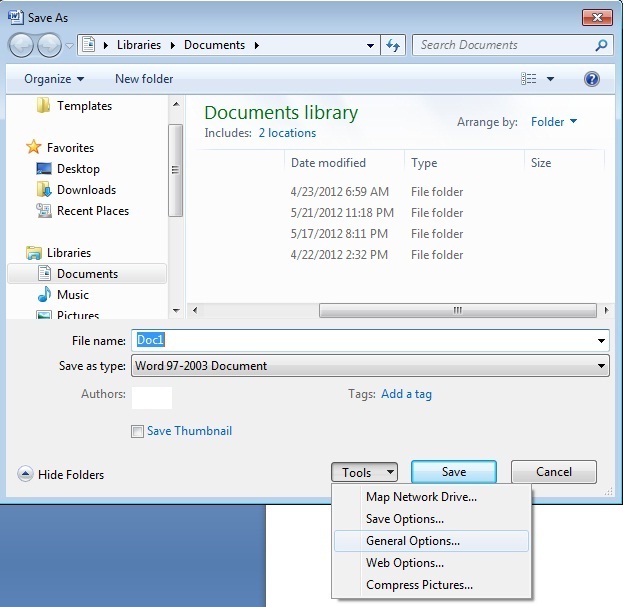 You can also set a password to modify for file sharing options. 8. Click OK once your done! P.S. Password protect MS Excel and PowerPoint 2007 file, just follow steps above.